Hunt: Showdown early-access review – AiPT! Can Crytek make a name for themselves in the crowded world of competitive online shooters? Hunt: Showdown comes to us from the ashes of Crytek USA; emerging like a terrifyingly bloody and disgusting phoenix, hell bent on destruction. I know, sounds cool right? Well that’s because it is folks. While at first glance Hunt may appear to be just another shooter in the battle royale/survival genre, beneath the surface it’s anything but. This game possesses the potential to push shooters into a whole new territory, much as PUBG, Overwatch and Fortnite have done before it. Crytek has found success by adding a truly unique twist to the genre of survival style multiplayer games, that use sandbox maps and unique load out kits. Today’s world of online shooters is crowded with games that try to emulate what’s popular, so what did Crytek do to standout? In the words of the imperturbable chief engineer Mr. Raymond Arnold, hold onto your butts. The first thing to note here is that Hunt: Showdown is still in early access, so you should expect the final product to differ substantially from what’s available today. Crytek has already released several robust updates; that introduce new weapons, environmental effects and a spectator mode. They do a great job making it easy for the community to stay informed of their progress, via the roadmap section of the official site. Players will find themselves as a bounty hunter in a lovecraftian eldritch horror, stalking demonic fiends in the swamps of plague-ridden corner of 19th century Louisiana. The overarching goal being to gather clues, locate the lair of the boss, banish that demon to hell and collect on their bounty. Where it becomes complicated is you aren’t the only bounty hunter on the block and it’s kill or be killed, in a world that’s for all intensive purposes has gone to hell. You have the option of hunting bounties on your own in a free-for-all match against nine other players, or with a partner in competitive mode against four other teams. Before entering the game players must hire a bounty hunter to use in their hunt. There’s typically two starter bounty hunters to chose from, who each have a unique set of weapons and equipment. As you make progress through the game you’ll unlock new weapons, equipment and abilities which you can then purchase and equip to your various bounty hunters. After deciding if you want to go at it alone or with a partner, you can start a match. For bosses you’d like to hunt, players have the choice of facing the demon spider, the ominously named “Butcher” demon or a random selection made by the game. The map layout is randomly generated every game and players have a choice of two possible spawn locations, which is also randomly generated. Once you’re actually in the game, it’s time to decide how you want to play. Now hold on a minute playa, didn’t you just tell me I have to kill a demon boss and collect their bounty? Why yes I did. So while yes, there’s a premise and a goal that’s been set by Crytek, that goal is very loose. Allow me to explain. You can exit a match anytime you want (as long as you’re alive) and no I don’t mean by hitting the escape key. The keyword here being “anytime”. There are several extraction points for players to use that are randomly placed around the edges of the map. When you want to exit the match, make your way to an extraction point and survive the 20 seconds it takes to be removed from the match. This aspect of the game heavily reinforces the idea that players can make the time they spend in Hunt: Showdown completely their own. You aren’t required to kill a boss to use an extraction point, hell you aren’t required to do anything to use one. You want to spend the match camping clues and PVPing? Great do it you stupid camper. You want to make it your life’s goal to hunt down and kill every single demonic dog on the map? Go forth Cat King! You want to wait for other players to kill the boss and steal their bounty before you leave? Go ahead coward! 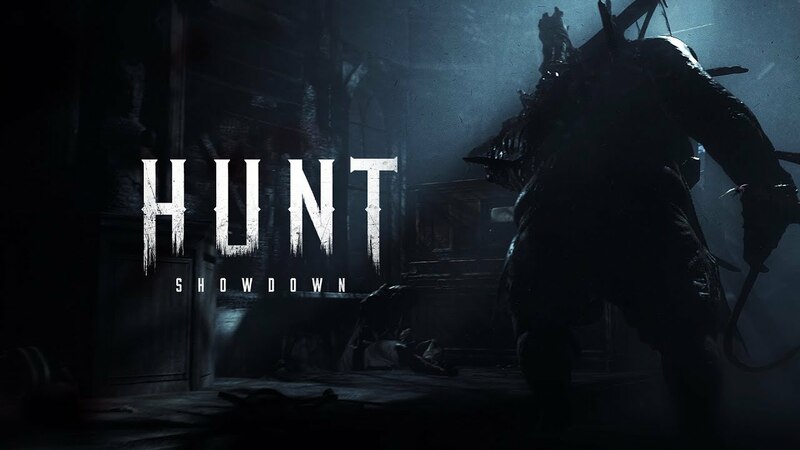 Make your own goals, create your own challenges and showoff your own achievement system that you spent days creating-that’s the glorious thing about this game, Hunt doesn’t care what you do. You can do whatever you want with your time here, well assuming you can manage to survive the demons, zombies and the other bounty hunters. Hunt is one of the more unforgiving games I’ve played and unfortunately I learned that the hard way. When your bounty hunter is killed, all the tools, gear, weapons, upgrades and perks you purchased for that hunter, are lost permanently. The first time this occurred I thought the server had a technical problem and that’s why I couldn’t select my favorite hunter again, nope my mistake. The character and everything you earned for them to use is gone forever! Not to worry though, it’s not the end of the world as thankfully you don’t lose absolutely everything when you die. The experiences points you earn to further empower your bloodline, which in turn allows you to unlock new weapons and tools. Perks are never lost. Most important of all my little bounty hunters, is the money. You can even earn money from a failed mission. Boo-hoo, ten minutes into the match you got sniped from a cottage window and your partner got mauled to death by a pair of diseased hell hounds, at least you made some cash while going out like a chump. Cash in turn allows you to purchase new bounty hunters, weapons and equipment-it’s what makes the world go round. If you want to survive this world you’ll need to rethink how you approach a first person shooter, as Hunt: Showdown is anything but traditional. The vast majority of multiplayer competitive shooting games encourage you to shoot things, shoot things a lot! That’s uh kind of the point right? Well this game is all about tactics and planning, not emptying as many bullets as possible into your enemies. Sorry Call of Duty, Fortnite and PUBG fans, the exit is on your left. The aspect of the game which dominates every tactic, every scenario and every approach to victory that you can imagine, is sound. Your choice of bounty hunter, weapons, equipment, strategy and partner are all secondary to sound. Sound is everything. When you start up Hunt: Showdown the very first thing you see is a message from Crytek informing you that this game is best played while wearing headphones. Eat your vegetables and listen to Crytek kids! If you don’t have a good pair of headphones, go buy them, otherwise not only will you be at a disadvantage, but you’ll also be denying yourself one of the true pleasures this game has to offer. The developers did an absolutely brilliant job with the sound in Hunt. It’s simply incredible. There have been moments where I can feel goosebumps spreading across my arms, dread creeping down my spine and fear clutching my brain-simply because of what I can hear. The atmosphere and environment are impressive in their own right, but the sound further enhances them to a level of pure excellence. It’s downright unnerving to hear a creature moaning through the open door that’s directly next to you, or a wounded horse screaming as zombies feast on it’s flesh. There are so many little moments where you’re more concerned with what you can hear than with what you can see. If you want to succeed you have to pay attention to sound at all times. If you shoot your gun, it’s going to be loud. There are enemies in this game that are happy to see you. How do they celebrate? By screaming like maniacs of course. Which in turn alerts other NPCs to your position, which can also lead to other players finding you. I briefly mentioned how impressive the environment is, a big part of that is the immersion. If there’s broken glass on the ground and you step on it, it’s not going to be quiet. Animals here behave just like animals in real life do. Approaching a group of birds hiding in some bushes will cause them to burst into the air and squawk their heads off. Dogs bark. Diseased zombie dogs bark even louder. Opening and closing doors, stepping on a loose floorboard, breaking a window-it’s all going to make noise, some to a great degree than others. When you aren’t worrying about your own silence, you’ll be listening for other players and enemies. Every situation you approach will have sound at the forefront of how you plan your strategy. It’s the only game I can think of where every sound registers as important to practically all of my decision making. Not all sounds are bad either. You can use sound to your advantage to distract both players and zombies by lighting fires, shattering glass and starting machinery. Using a machete or knife allows you to enter combat without waking up the entire neighborhood and circles back to the tactics aspect of the game. You only want to shoot your weapon when you absolutely have to. Ammunition isn’t in a healthy supply when you spawn and finding refills is never guaranteed. Conservation of ammo and aiming for the heads of your enemies is a recipe for moderate success. Wasting ammo on your run of the mill zombies and making a lot of noise will almost always result in failure. I found the NPCs to be a far greater challenge than the actual real-life players. The boss fights are a serious challenge and getting to them often requires that you use stealth to navigate your way around a substantial number or seriously dangerous enemies. There are five or so different types of enemies to contend with outside of the boss fights, each with varying abilities, strengths and weaknesses. Your bounty hunter’s kit will often dictate which opponents you want to fight and which you want to avoid. There are certain enemies that I never engaged unless absolutely necessary. Having a partner of course makes things less challenging, especially if you can coordinate over voice chat. But be warned, using the in-game voice client will allow anyone within shouting distance to hear you, just like real-life! As a solo player I had to get seriously creative with my tactics to succeed against the demon bosses. The spider almost always killed me when I attacked alone, so I either avoided him all together or tried to ambush another player that had recently defeated him. When a boss is killed and banished they drop a valuable bounty item that offers great rewards if you can escape the match with it alive. So it’s not uncommon for players to wait until someone else has defeated the boss, ambush them, take the bounty item off their corpse and cash it in themselves (I maybe rage quit the first time this happened to me). Each player posses the Dark Vision ability, which blacks out the world around you to illuminate a trail of what lights that leads to the various clues hidden around the map. Collecting three of these clues will reveal the boss’ location on your map. You also have the chance to stumble upon the boss at random while exploring the map. Once a player begins to banish a defeated boss, that location is revealed to every other player in the match. This is when the game truly becomes nerve wracking, as you have to protect your kill knowing that every other player is now headed towards your location with the goal of killing you and stealing your bounty. I found my success rate to be extremely high when playing with a teammate and I still did fairly well as a solo player. I don’t know if it was a problem with the match making or sheer dumb luck, but in the vast majority of my games I rarely encountered other players. When I did it was heart pounding action, so I was rather disappointed in the lack of player verse player scenarios that I found myself involved in. I’d like to see the developers increase the player count in games or add another game mode, such as deathmatch or king of the hill. In my experience a typical match lasted between 20-30 minutes. But that also depends on what you constitute as a match. If it’s from when the match actually starts, then my previous statement stands. If it’s from the time that you start actively searching for a game, then it was closer to 35-40 minutes. The match making system is one of the games biggest weaknesses. It takes forever to get the ball rolling, especially if you’re playing with a teammate. This is what the standard process looks like: select a bounty hunter, select their kit, select “play”, wait for the team to fill (sometimes this took so long that I had to quit and retry), once the team is filled select “ready”, wait for your teammate to be ready, the game searches for a match, the game finds a match, the game searches for a server, the game finds a server, the game loads. FINALLY you play. You still here? Okay great, I wasn’t sure because writing all that out bored the hell out of me. If you’re telling the game you want to play, that should be it. Why do you have to tell match making you’re ready to play more than once? I had to wait forever for one chuckle head teammate to tell the game he was ready, if it happened more than once I would have rage quit (Editors Note: Filled with so much rage JJ.). Match making should automatically fill the team and find a game. It shouldn’t be a two-part process. This needs to be faster and needs to be drastically cleaned up before the game is ready for full-release. My only other issue with Hunt: Showdown was how often it disconnected and experienced minor technical issues. If I tabbed out of the game to write a note down or check a Slack notification, I often lost connection to the server and the games reconnect feature never got me back on. To reconnect successfully I always had to fully quit the game and relaunch it. This drove me insane, as I’ve yet to get a second monitor (I’m working on it!) and I often alt-tab to check notifications. The in-game voice chat was hit or miss with quality (my headset rules, it’s not me) and there were more than a few occasions that I ended a game only to receive a message that connection was lost and none of my achievements from the match were recorded. I’m honestly not that worried about any of these issues though, as again, the game is still in early access. There’s plenty of time for Crytek to clean up their servers, match making and bugs. There are technical issues which I have confidence will be addressed. I can’t think of a new game doesn’t experience those, to be expected, no big deal. I have concerns with this games longevity, specifically new players entering a competitive game with an established player base. How do you ensure experienced players with fully fleshed out bloodlines and perks don’t ruin the experience for new players? I’d also like to see a change in how bounties and bosses work to prevent a culture of camping from being the norm in every match. I want to see more bosses and different map areas, so every match doesn’t feel the so similar. Clean all of that up and there’s a great game here. The sound in this game is arguably the best out of any game I’ve countered. I’ve never seen developers tie sound to the core of their game-play like Crytek has with Hunt: Showdown, it’s incredible. I’m a huge sucker for anything lovecraftian, so being in a horror game with that an environment that taps that vein is a huge plus for me. It also doesn’t hurt that the game looks absolutely gorgeous. Enemies look and sound terrifying. The level of immersion from the animals, buildings and every day objects you encounter is a just plain awesome. There’s tension at every layer of this game and when you encounter another player or dive into a boss fight, the adrenaline is seriously pumping. Hunt: Showdown is a terrifying shooter that uses sound as no game in it’s genre has before and the concept it’s built on is truly unique, which is a rare thing to see today. Crytek has a lot of work to do. But it’s still early access, so I’d be surprised if I didn’t feel that way. That being said, this game has a lot of promise and the potential to become the next big thing in the world of multiplayer competitive online shooters. I hope Crytek continues to engage and listen to the feedback from their community, isn’t afraid to try new things, cleans up it’s misses and provides a game that’s as great as it has the potential to be. Absolutely incredible use of sound. The concept is truly unique, there's nothing else out there like it. You are challenged at every turn and there's no forgiveness for failure. Tension and terror in healthy supply. I'm concerned a culture of camping could become the norm here. Matchmaking needs a make over.